For HR, it’s critical to maintain the confidentiality of sensitive employee data, ranging from social security numbers to performance reviews. At PeopleDoc, we understand the ubiquity of cyber threats and the risks third parties may introduce to your network. We’re also well aware of the security requirements HR must meet for compliance. That’s why security is our highest priority at PeopleDoc and why we’ve built our platform to ensure our customers’ data is safe throughout its lifecycle. 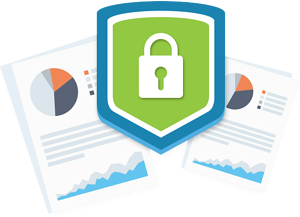 PeopleDoc by Ultimate Software is certified with ISO 27001 and ISO 27018, an internationally recognised security standard, and compliant with SSAE SOC 2 Type 1 and 2. PeopleDoc is also a member of the Cloud Security Alliance. Data in-storage and in-transit are cryptographically secure with AES-256—the highest encryption algorithm of this type that has also been adopted by the US Government. Our hosted data centres are certified with ISO 27001 and compliant with SOC 2. Our infrastructure is set up in the U.S. and E.U. to help your global organisation seamlessly address GDPR requirements. PeopleDoc guarantees a 99.5 % uptime. PeopleDoc’s infrastructure is highly redundant and fault tolerant to maintain maximum uptime in supporting your HR organisation.